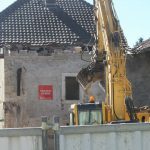 Swiss reluctance to ruin its own idyllic countryside in the Lake Geneva region combined with French laws enabling unfettered urban development is leading to the rapid destruction of the historic centres of numerous villages in neighbouring France. Edward Girardet and Christopher Woodburn explore why Paris no longer seems interested in ‘Patrimoine’, once one of the most hallowed words of French culture. Cessy, France – From Versailles to Aix-en-Provence and Bordeaux, French urbanization policies are enabling ‘promoteurs’, or developers, to replace rather than renovate old buildings with often tasteless multi-story edifices whose architecture has little to do with local style or character. Even in Paris, there are highly controversial plans to shatter the city’s skyline with massive high-rises. Travelling around France, a country perhaps blessed by too much ‘patrimoine’, or cultural heritage, from the French government point of view, one is increasingly struck by how blandly alike many of these new buildings look. 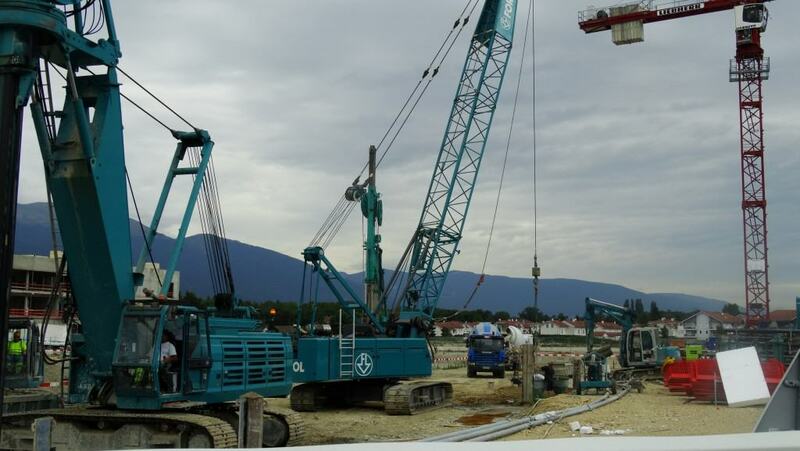 Here in the Pays de Gex, a French frontier zone of 85,000 inhabitants bordering the Swiss cantons of Geneva and Vaud, most communities are witnessing the fast-moving building of massive new apartment blocks in their historic centres. 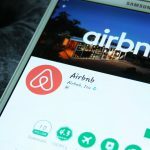 One reason for this is the pressure for housing from neighbouring Switzerland, particularly Geneva, which suffers from a dire accommodation shortage. 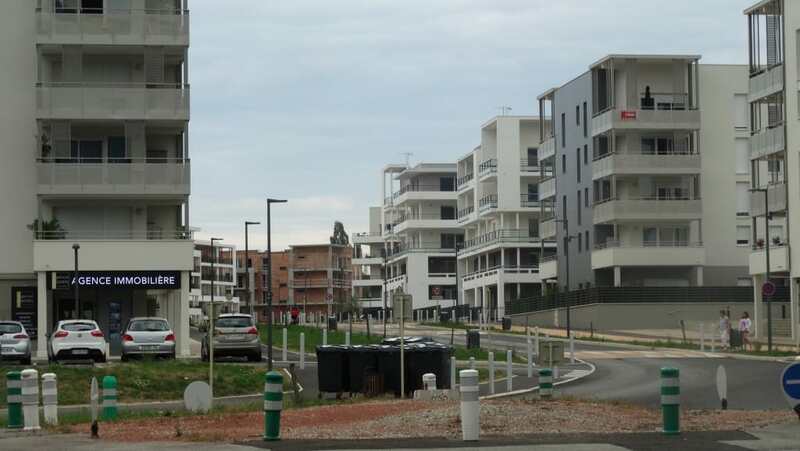 New apartments, many un-rented or unsold, in the Pays de Gex. At the same time, there is the looming risk of a French property bubble collapse. Money is cheap with low interest rates encouraging ‘promoteurs’ to build, but this could easily change in the current economic climate. According to the Community of Communes, which represents 27 Pays de Gex towns, over 2,000 housing units remain unsold or un-rented. 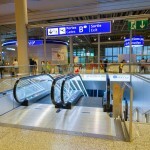 While Swiss, notably young couples, were initially attracted by lower costs on the French side, many are moving back because of fiscal restrictions imposed by President Francois Hollande’s government. This is compounded by the reluctance of French entrepreneurs to establish businesses in their own country because of burdensome tax and social security laws, preferring instead to set up in Switzerland, the UK or Singapore. As concerned French, EU and other foreign residents in the Pays de Gex are discovering to their chagrin, however, there is almost nothing they can do to curb the rapid destruction of old buildings. Current French policy blatantly favours the ‘promoteurs’, who are entitled to knock down 17th, 18th and 19th century buildings, regardless of their location. They then replace them with high-rise catalogue edifices that are in the process of being cloned all over France. “Many of us came to the Pays de Gex because of the quality of life and its rural setting. We have nothing against urban expansion, but at least let’s preserve the look of the old village centre. 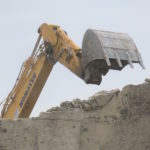 Why destroy these old buildings?” said one long-time French resident of Cessy, a town of over 4,500 inhabitants dating back to medieval and even Roman times. Part of what remains of historic Cessy. As Pays de Gex residents maintain, this surge of new construction has led to increased car traffic, pollution and insecurity, including accidents, as well as the transformation of the countryside into a concrete landscape characterised by what one local called “Ceaușescu or Soviet-style” apartment blocks. In many cases, local infrastructure such as public transportation, sewage and even police is unable to cope. The lack of bypasses, bus and tram links as well as clearly demarcated bike lanes is causing growing rush-hour congestion into Geneva on both sides of the border, something which rarely existed a decade ago. Part of the problem lies with the Lake Geneva region’s need to accommodate the skilled foreign workers required for its expanding economy, one of Europe’s fastest growing. One third of Switzerland’s 300,000 ‘frontaliers’ live on the French side. Overall, an estimated one million people are based in what is now referred to as Greater Geneva, a region whose future depends heavily on its ability to adopt a joint Swiss-French urbanization approach that preserves both the environment and local heritage. The real issue, however, is the manner with which Paris is imposing its most recent version of the ‘Plan Locale d’Urbanisation (PLU)’. This urban densification programme seeks to revitalize communities by bringing more people into town centres across France and to create new jobs. The drawback of this centralised one-for-all initiative is that it fails to address local contexts, which differ from town to town, region to region. This notwithstanding, the plan is soberly imposed by the regional Prefects, whose job it is to uphold state policy come what may. The PLU decides what needs to be constructed, and where, obliging local mayors to fall in line. Even the Paris skyline is under threat with the decision by city mayor Anne Hidalgo to allow the construction of a highly controversial 180-metre high building in the heart of the capital. “There is really little we can do,” said Christophe Bouvier, mayor of Cessy and president of the Pays de Gex’s Community of Communes. “I don’t like these new buildings, but it is very difficult to go against this form of law.” Opposing projects, he claims, can cost the community in lawyers’ fees plus compensation to the developers. As long as the developers abide by the PLU rules, he added, they can build where and what they like. What is patrimoine – and who decides? A significant drawback is determining which buildings should be protected. Distant PLU technocrats with the Prefecture and no particular ties to the community conduct their own surveys with town councils only advising. According to Bouvier, who was elected on a platform to preserve the quality of life in Cessy, it is the Prefecture which determines what should be considered ‘patrimoine’, or not. “It has decided that only the village fountains merit preservation. Everything else is of no value. It’s all very subjective,” he said. Local residents beg to differ. Cessy sits at the foot of the Jura Mountains, and similarly to other communes in the Pays to Gex, offers a panoramic view of the Mont Blanc which is second to none in the world. The town also hosts CERN’s Large Hadron Collider, and is regarded as the birthplace of the World Wide Web given that British creator Tim Berners-Lee lived here. Artist’s impression of planned four-story building (right) by Paris-based ‘promoteur’ SCI Rhone II that will destroy 18th and 19th century buildings in historic centre of Cessy. Despite these modern accolades, a number of traditionally Gessien buildings continue to lend the village an attractive rural character that differentiates it from more recent development. The residents are currently fighting to preserve several stone enclaves that constitute Cessy’s historic centre from the wrecking balls. One of them includes four late 18th and mid-19th century buildings, which SCI Rhone II, a Paris-based ‘promoteur’, is seeking to replace with an overwhelming four-story block of 57 flats and underground parking for nearly 100 cars. Another series of 17th century structures forming Cessy’s oldest farm is under threat. 19th century farm buildings facing destruction. Not all towns in the Pays de Gex are allowing the PLU to eradicate their ‘patrimoine’. Neighbouring Gex has radically changed its look in recent years by renovating its Old Town, aesthetically incorporating select 18th and 19th century buildings into new structures. While the developers still have the right to knock down anything they buy, the town appears to be holding its own. A case in point is the Restaurant de La Gare, which stands as a stoic reminder that old and new can be successfully married. Nearby Divonne, a former Roman spa town with up-market residences, has involved its population in public discussions on how to embrace urban renewal. This may or may not include the destruction of its late 19th century railway station to make room for a new shopping centre and underground parking, but at least the debate is transparent. 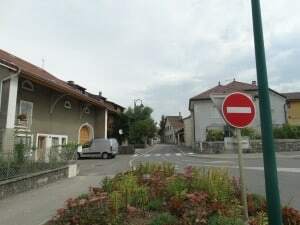 Even in the French border town of Ferney-Voltaire, which has already ravaged its historic centre with a slew of high-rises, a small group of developers have made the effort to construct attractive townhouses in character with the region, several of which are in an 18th century Voltarian style. According to the Fondation du Patrimoine, a non-profit national organization that seeks to help communities preserve old structures, mayors have the right to declare certain parts as ‘historic’ thus limiting new construction. This, however, is not easily done given the perverse nature of the administrative law that regulates the PLU. “There is no question that the Pays de Gex is under enormous pressure,” noted Irene Imbert of the Foundation’s Rhone-Alps’ section. “With property prices going up, our cultural heritage is being ransacked. This is something we need to stop for the sake of future generations.” Such concerns do not seem to interest the developers, several of whom predict that Geneva’s economy will continue to expand. Population pressure: Second international school in the Pays de Gex being constructed. According to Sylvain Richerd, president of Foncia Voltaire, a local real estate company, the region remains attractive to investors. Rental prices are ‘dynamically’ high with costs rapidly approaching Paris levels. “It’s a free market,” he noted. Developers regularly approach, even harass, owners to buy their buildings and, like ambulance-chasers, keep check on the obituaries to see which properties might be up for purchase. Furthermore, given that French mayors are among the most powerful within the European Union, some critics suggest that certain town councils in the Rhone-Alp region are collaborating with developers in a manner that involves conflict of interest. Many entrepreneurs, too, who have no qualms about exerting pressure on the mayors, openly canvas for new construction in the hope that it will create more business. One restaurant owner, whose clientele includes foreigners, argued that it was only outsiders who were against the new construction. They should “go home” if they don’t like it, he said. 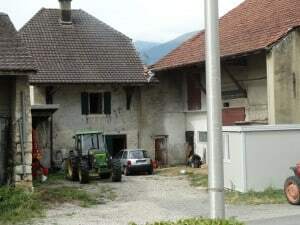 Even if numerous foreigners are indeed involved, local opposition is mainly French, particularly residents working in Switzerland who originally moved to the Pays de Gex for cheaper housing and to benefit from a healthy environment for their families. The reality, however, is that the Paris government’s urban densification plans coupled with the administrative nature of the PLU all leads to a certain helplessness among locals. Faced with the risk of penalties if they lose, many are reluctant to oppose. Does the French system allow real democracy? 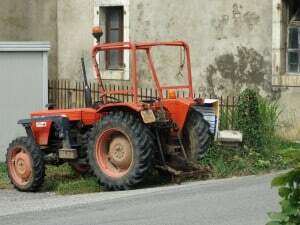 Tractor deliberately parked to hide demolition announcement of traditional Gessien farm buildings. For State Council president Longchamps, the Greater Geneva vision for housing, transport and other forms of development needs to include both Switzerland and France. “The only problem is that when we discuss with the Pays de Gex, there are too many opposing interests. It’s very political,” he said. While the Swiss turn up with two delegates who know exactly what they want, the French come with a disparate group representing the mayors, the Community of Communes, the department of Ain, and the Rhone Alp region, all of whom promote their own individual interests, “In the end, however, it is Paris that decides and usually along party lines,” he added. This article first appeared on the Essential Edge. Essential Edge co-editor Edward Girardet (edgirardet@gmail.com) is a journalist and author based in Geneva but living in the Pays de Gex. He is also a former Paris-based foreign correspondent. Christopher Woodburn (christopherjwoodburn@gmail.com) is an associate editor of The Essential Edge and a correspondent at the United Nations for the English-language service of the Chinese News Agency. He lives in Gex. 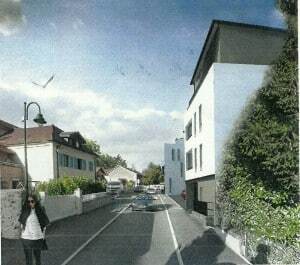 Knocking it all down: French property developers dictate Lake Geneva’s urban vision. The picture in Ferney is a long way from being as rosy as your excellent article suggests. 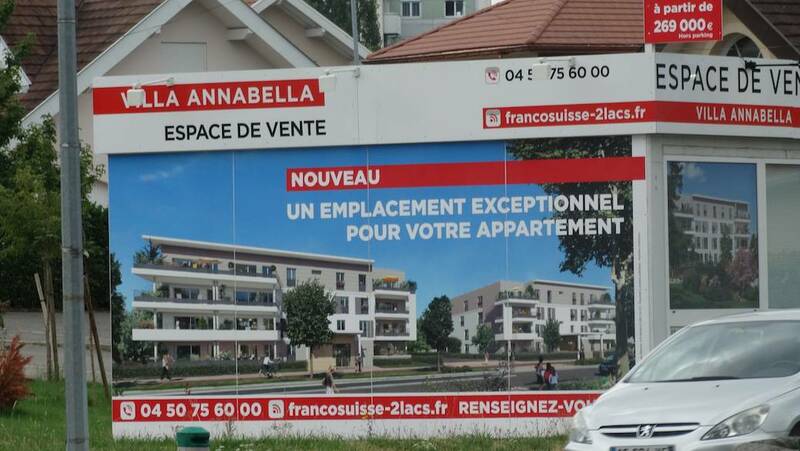 For example, the Mairie has given approval for the construction of a block of 36 apartments next door to our 8-apartment building on a piece of land that is exactly the same size as ours. The plans for this new “development”, said to be conform to the PLU, allow for underground parking at one per apartment, and only two places above ground for visitors. Independent architects tell us that they normally calculate on at least an average of 1 1/2 cars per family. If this turns out to be the case, we can imagine cars parked all along the busy road leading to the International School. On top of this, the development will destroy a small oasis of trees and plants surrounding the house, to be demolished, that presently stand on the site. Appeals are being prepared but the signatories are being told just what this article warns about — if they lose, and they almost certainly will, they stand to be ordered to pay a large sum in compensation to the developers. Bewildering.